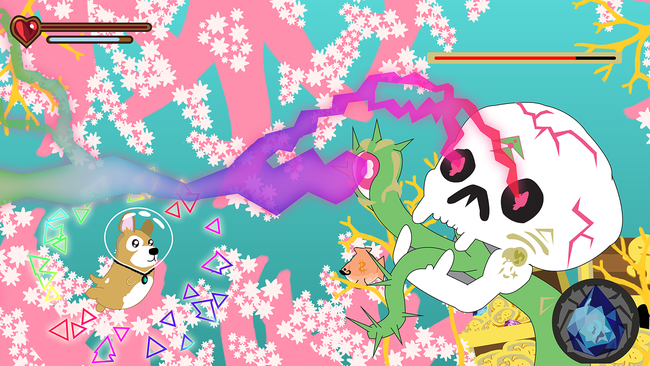 Learn how you can help restore our polluted oceans in this whimsical adventure puzzle game. 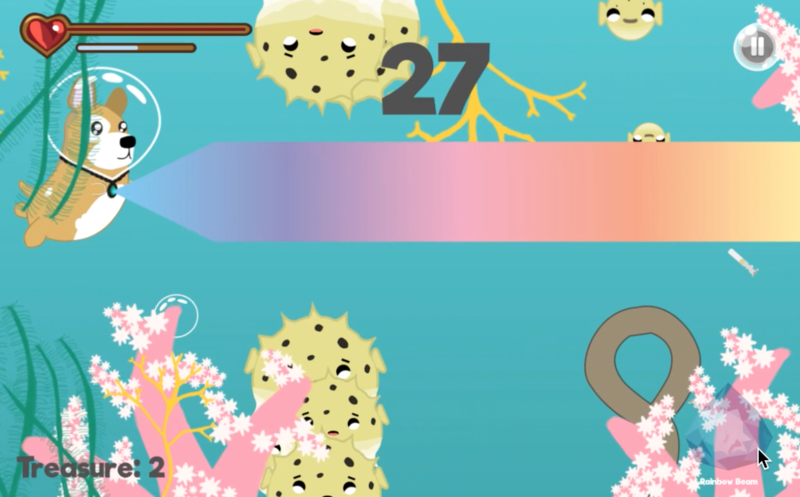 Mobile games are fun and often addicting; we believe this can be to the benefit of our oceans. Most oceanic data is hard to digest for the average citizen and does not offer any solutions to the problems we face. However, our mobile game offers a fun way to learn about this data and connects people to actionable solutions: such as Beach clean ups, blueprints for ocean-conscious new businesses, and support for new conservation laws. 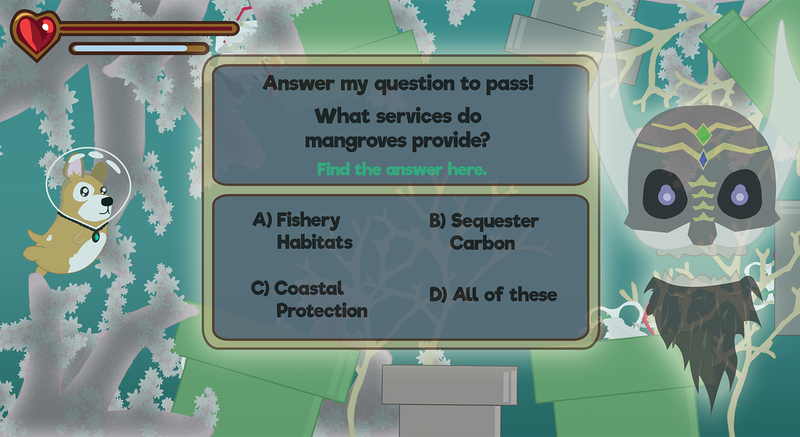 For increased awareness, Q&A challenges are integrated into the gameplay using a variety of reputable ocean research resources. Our approach is focused on engaging and educating young players through fact-finding and trivia-based challenges that unlock new levels, characters, and abilities. Preliminary research suggests that mobile devices can create more active learning experiences that improve student engagement, learning, and course retention (Joosten, 2010), and the use of new technologies can enhance motivation, which is a vital aspect of learning, deliver information when needed, encourage problem solving, and satisfy curiosity (Sharples etal., 2002). This research supports our belief that our game will serve as a pathway for exposing the public to issues involving ocean pollution, conservation, and restoration. The information and education provided to the public will be based on multiple types of data, consisting primarily of the ongoing research from Jennifer Smith’s Lab, the 100 Island Challenge, Octavio Aburto's mangrove research, as well as other relevant research from the many sources provided by this Big Ocean Button Challenge. Additionally, we are investigating the potential benefits of pairing this game with a Mangrove Cleanup Festival initiative in Baja California, where the habitats of the endangered loggerhead turtle are inundated by plastic waste in the region. We intend to use at least 35% of the net profits to fund restoration technology development and research. To increase engagement and interest, we are leveraging a wide range of Internet publications and social media platforms. One of our key focuses online will be curating cutting-edge information in a digestible manner to the public and youth. Publications we expect to work with range from National Geographic to white paper publications, and lots in between. We strongly believe in the importance of increasing public awareness on current available information by curating valuable resources to make big impacts among the new generations of scientists, engineers, policy makers, and everyday citizens. We intended to track our impact by analyzing user engagement, running user surveys, logging beach cleanup participants and collecting data. Demographics, puzzle mechanics, story development, user engagement, and artistic style will all play a role in our development and analysis of this public outreach research. We intend to write and publish numerous papers documenting our research and results. Additionally, we plan to increase our overall impact by providing blueprints for profitable recycling solutions. We envision this type of public education to have the power to indirectly improve waste management practices and reduce ocean pollution. If funding permits, we will investigate the impact on consumer buying habits, governmental waste management, and local waste management practices. • Joosten, T. (2010). Mobile learning and social media: Increasing engagement and interactivity. Paper presented at the New Media Consortium Conference, June 9-12, 2010, Anaheim, CA. • Huang, Y. M., Lin, Y. T., & Cheng, S. C. (2010). Effectiveness of a mobile plant learning system in a science curriculum in Taiwanese elementary education. Computers & Education, 54(1), 47–58. • Hwang, G. J., & Chang, H.-F. (2011). A formative assessment-based mobile learning approach to improving the learning attitudes and achievements of students. Computers & Education, 56(4), 1023–1031. • Hwang, G. J.,Chu, H. C.,Lin, Y. S., & Tsai, C. C. (2011). A knowledge acquisition approach to developing mind tools for organizing and sharing differentiating knowledge in a ubiquitous learning environment. Computers & Education, 57(1), 1368-1377. • Hwang, G. J., Chu, H. C., Shih, J. L., Huang, S. H., & Tsai, C. C. (2010). A decision-tree-oriented guidance mechanism for conducting nature science observation activities in a context-aware ubiquitous learning environment. Educational Technology & Society, 13(2), 53–64. • Hwang, G. J., Wu, C. H., Tseng, Judy C. R., & Huang, I. W. (2011). Development of a ubiquitous learning platform based on a real-time help-seeking mechanism. British Journal of Educational Technology, 42(6), 992-1002. • Jonassen, D.H., & Reeves, T. C. (1996). Learning with technology: Using computers as cognitive tools. In D.H. Jonassen (Ed. ), Handbook of research for educational communications and technology. 693-719. • Jonassen, D. H., & Hernandez-Serrano, J. (2002). Case-based reasoning and instructional design: using stories to support problem solving. Educational Technology Research & Development, 50(2), 65–77. Conference, June 9-12, 2010, Anaheim, CA. • Kiili, K. (2005). Digital game-based learning: Towards an experiential gaming model. The Internet and Higher Education, 8(1), 13–24. • Kim, B., Park, H., & Baek, Y. (2009). Not just fun, but serious strategies: Using meta-cognitive strategies in game- based learning. Computers & Education, 52, 800–810. • Lai, C. H., Yang, J. C., Chen, F. C., Ho, C. W., & Chan, T. W. (2007). Affordances of mobile technologies for experiential learning: The interplay of technology and pedagogical practices. Journal of Computer Assisted Learning, 23(4), 326-337. • McMahon, M. (1997). Social constructivism and the world wide web - A paradigm for learning. Paper presented at the ASCILITE conference. Perth, Australia. • Nunnaly, J. (1978). Psychometric theory. New York: McGraw-Hill. • Ogata, H., Matsuka, Y., El-Bishouty, M. M., & Yano, Y. (2009). LORAMS: linking physical objects and videos for capturing and sharing learning experiences towards ubiquitous learning. International Journal of Mobile Learning and Organization, 3(4), 337–350. • Prensky, M. (2001). Fun, play, and games: What makes games engaging. In Digital game-based learning. (pp. 11-16). New York, NY: McGraw Hill. • Prensky, M. (2003). Digital game-based learning. ACM Computers in Entertainment, 1, 1–4. • Salen, K., & Zimmerman, E. (2004). Rules of play: Game design fundamentals. Cambridge, Mass: MIT Press. • Sandberg, J., Maris, M., & de Geus, K. (2011). Mobile English learning: An evidence-based study with fifth graders. Computers & Education, 57(1), 1334-1347. • Savery, J. R., & Duffy, T. M. (1995). Problem based learning: An instructional model and its constructivist framework. Educational Technology, 35, 31–38. • Sharples, M., Corlett, D. & Westmancott, O. (2002), The Design and Implementation of a Mobile Learning Resource. Personal and Ubiquitous Computing, 6, 3, 220-234. • Thomas, D., & Brown, J. S. (2011). A new culture of learning: Cultivating the imagination for a world of constant change: CreateSpace. • Wasson, B., & Ludvigsen, S. (2003). Designing for knowledge building, Oslo: Unipub forlag.